We have amazing news! As of today, iGreet cards are officially available worldwide! No matter where you are, you can send an AR card to anyone through our free mobile app. And yes, we know that every advertisement ever says “It’s so easy!” – but hey, it really IS easy this time! 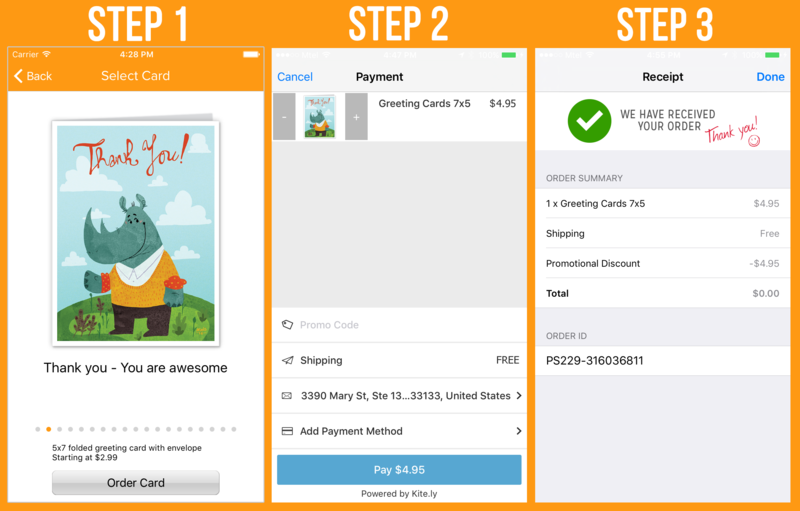 Just open the app, choose a card design, type the address of the person you’d like to receive it, place your order and… that’s all! We have the honor of working closely with Kite in order to create this amazing feature and we couldn’t be happier with our new partnership. Thanks to them you can send iGreet cards worldwide right now! So, if something was stopping you from augmenting your reality with this revolutionary way of sharing your emotions, now you’re able to do it in the easiest way possible. We’ll cross the world for you! This entry was posted in News and tagged custom card, delivery, kite.ly, worldwide delivery.